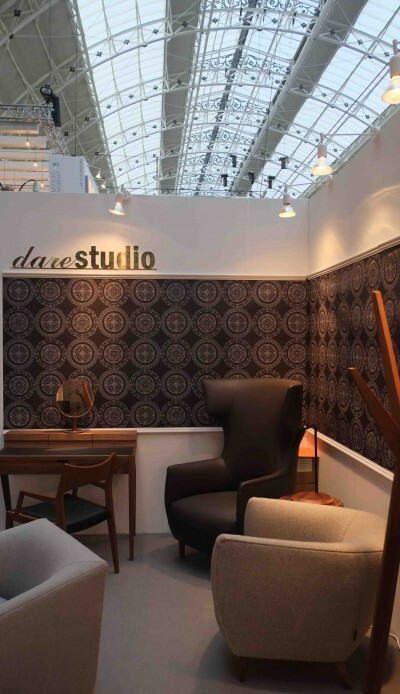 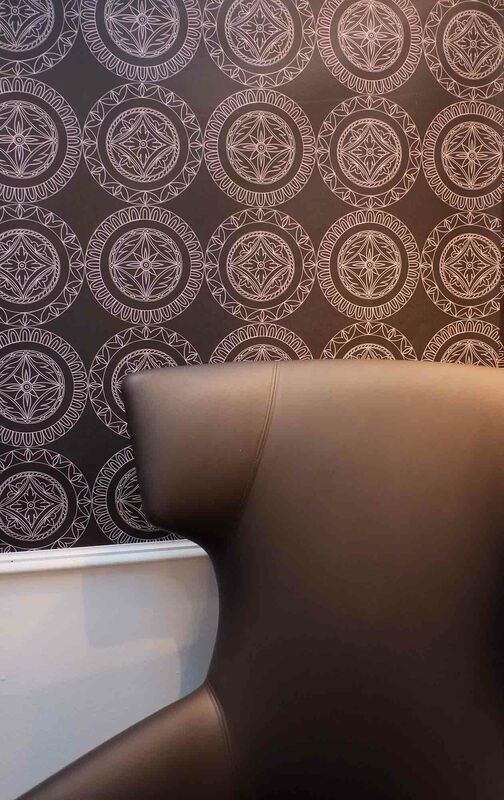 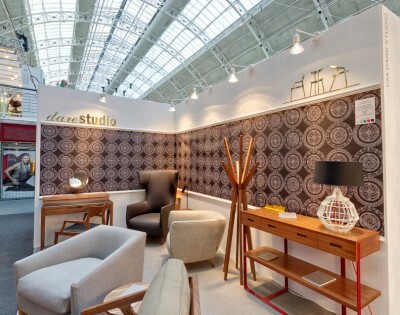 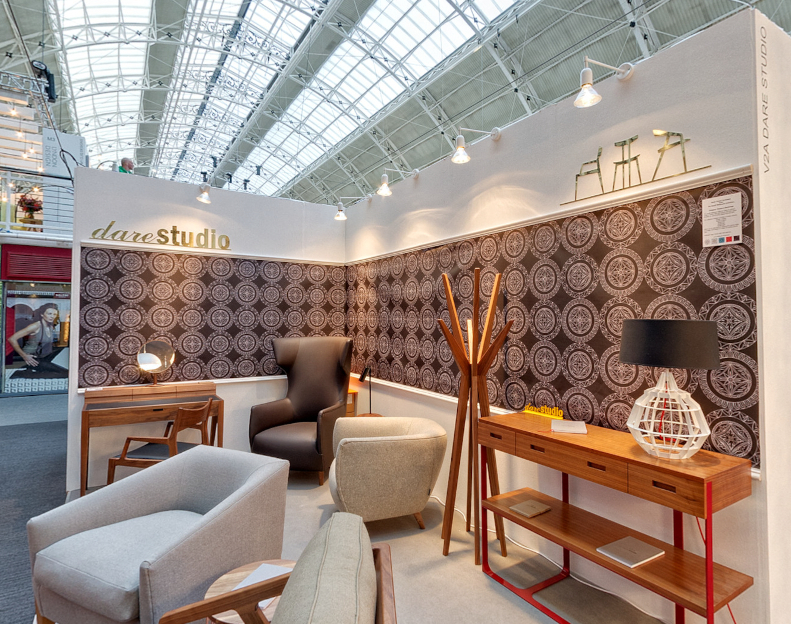 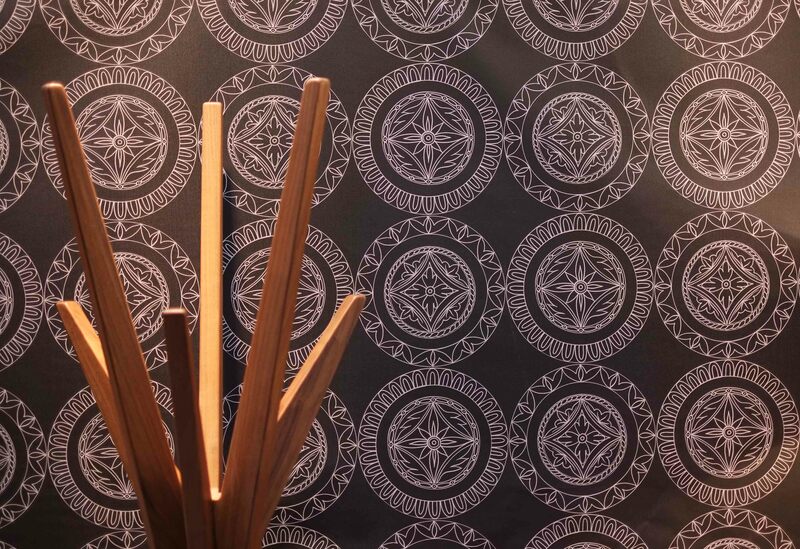 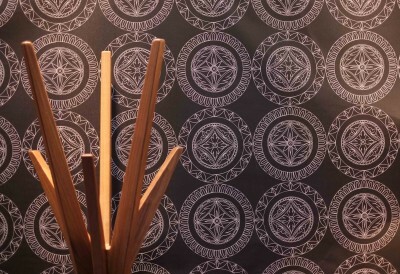 Designer Sean Dare of Dare Studio, an award winning British Design Company producing bespoke luxury furniture and lighting, chose the Amalfi Plates Wallpaper by Svetlana Shellshear as a background for the company’s stand at Sleep European Hotel Show 2013 in London (20-21st of November 2013). The wallpaper created a background for Dare Studio’s selection of exquisitely crafted furniture, including the best selling Wingback Chair, Bronte chair and Footstool, Section console and Kingston Dressing Table. 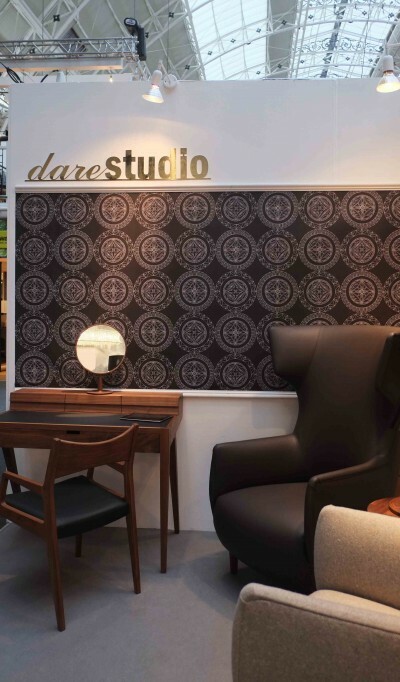 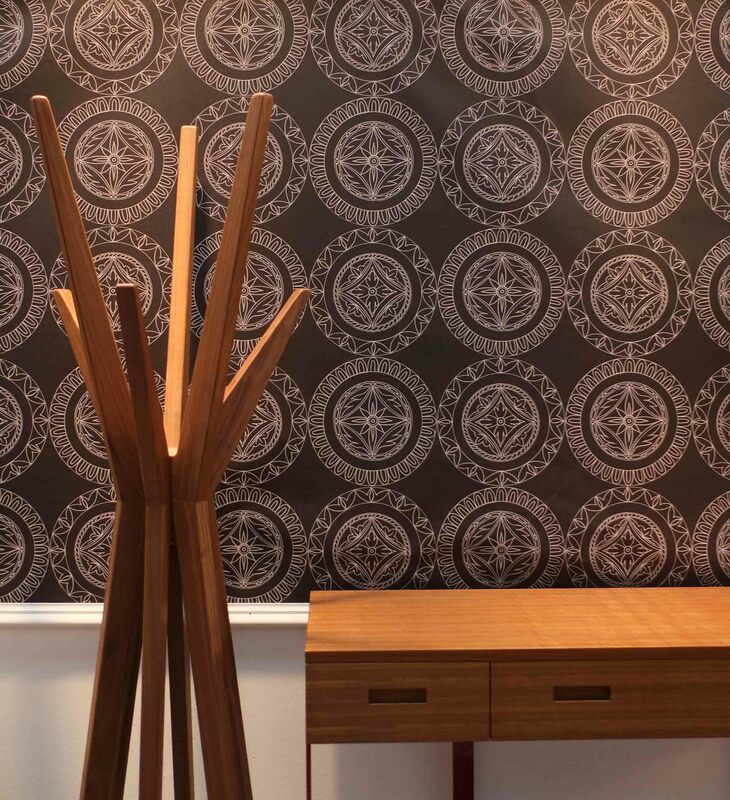 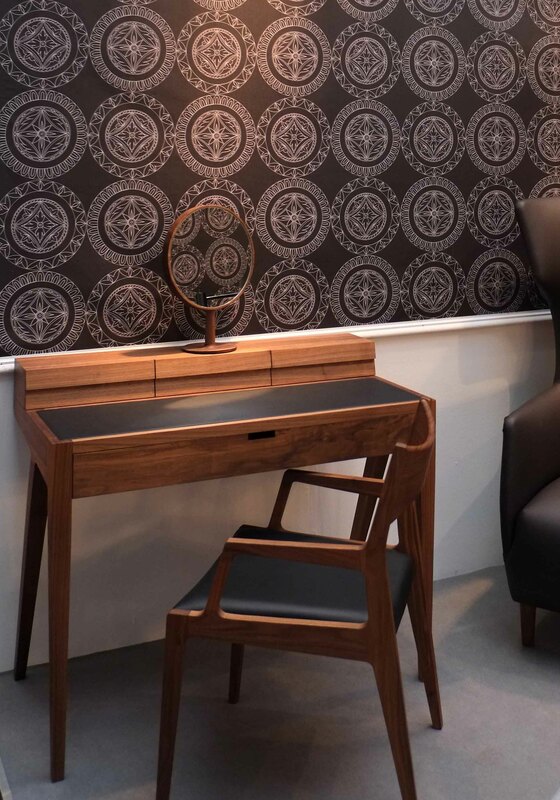 The luxury wallpaper with it’s textured fabric-like finish combined perfectly with the natural materials used in Dare Studio’s furniture: polished wood (American walnut), genuine leathers and a selection of wool fabrics.